Community Initiative for Tuberculosis, HIV/AIDS and Malaria plus related diseases (CITAM+) is a local Zambian NGO that was registered in June 2005 to help disseminate information on TB/HIV and AIDS co-infection through community sensitisation by members of the organization, most of whom have had TB and are now cured and some of whom are living with HIV and AIDS and have suffered from TB at one time or another in their life. CITAM Plus has received with extreme sadness news that the Zambian government procured Antiretroviral Drugs (ARVs) that have a short shelf life-span. It is disheartening to learn that these drugs have since expired. We note with dismay that government officers that are in charge of procurement would allow the procurement of ARVs, which are life pro-longing for many of our colleagues, among other drugs that have a short shelf life. The acquiring of these drugs with a short shelf life at a cost of K13, 750, 821 is undesirable and posed a great danger to the consumers as their health and lives are at risk and the risk posed is unimaginable and a source of concern to us as CITAM Plus and indeed other organisations working around health as well as individuals that are HIV/AIDS Advocates. As advocates, we spend our time convincing donors of the importance of contributing to the Global Fund. It is disheartening to have to fight the image of implementing countries wasting precious funds through mismanagement. We demand that Government put in place a transparent process that will build on lessons learned to reassure the public that further funds will not be wasted. We wonder how and why the Zambian Government accepted such a huge consignment without taking necessary measures into consideration. This is totally unacceptable and a waste to national resources that could have been used on other things especially that the country is under economic stress conditions. We demand that the Ministry tells the nation why it allowed such a bad and wasteful consignment and further demand that all erring officers be disciplined so as to send a warning to others and deter further occurrence. It is not long ago that we complained of shortage of ARVs and acquiring of expired ARVs which the government defended and maintained that there were no such issues. Despite our earlier warnings, it is so saddening that such has re-occurred. We further wonder why the Minister of Health Dr. Chitalu Chilufya told Parliament that the country had not purchased expired drugs when a day later his Permanent Secretary confirmed that indeed reports of expired drugs were true. Such statements make us begin to have worries on the truthfulness of our leaders on matters of importance especially that borders on life. This Article Aired On Sky FM Radio And The Item Was on Global Fund. Thursday afternoon COZWHA and CITAM Plus held a successful and interactive meeting with youths from different parts of Lusaka sensitizing them on HIV/AIDS, TB and Malaria matters. The youths came from different parts of Lusaka that included Hill View Chalala, Avondale, Chilenje, Matero among others. One of the youths sharing with her colleagues during the meeting. Presentation by one of the youths. Nathan Nhlane Policy and Advocacy Officer at CITAM Plus Mentors The Youths. CITAM Plus is pleased with the recent global developments as shown in financial commitments in the fight to ending epidemics; AIDS, Tuberculosis and Malaria under the 2016 Global Fund's Fifth Replenishment Conference. We are delighted because our call as different organisations to global leaders has yielded positive results as we have seen these governments and donors pledge over US$12.9 billion in the fight to ending these epidemics. The pledges that were made at Global Fund's Fifth Replenishment Conference in Montreal, Canada on 16 and 17th September 2016 are the reason we have hope that more than eight (8) million more lives will be saved as the Global Fund averts 300 million new infections as well as help build sustainable health systems. The Replenishment Conference raised nearly $1 billion more than the previous replenishment conference in 2013, and benefitted from participation by leaders from countries all over the world, led by United Nations Secretary General Ban Ki-moon, and Bill Gates, Co-Chair of the Bill & Melinda Gates Foundation. Since 2002, the Global Fund has saved 20 million lives and averted 146 million new infections. In addition, the Global Fund has helped stimulate US$6 billion in domestic investments in health by low- and middle-income countries, Zambia inclusive, in the most recent three-year period. The United States led the pledging with US$4.3 billion, approximately one-third of total funding. The United Kingdom pledged £1.1 billion, the second-largest pledge for this replenishment period; France pledged €1.08 billion, maintaining their position as the second-largest donor to the Global Fund overall. Kenya pledged US$5 million is one of the African countries that have made their commitments to supporting the Global Fund and all pledges cover the coming three-year period. Benin, Cote d’Ivoire, Nigeria, South Africa, Senegal, Togo, Namibia and Zimbabwe are other African countries that made their contributions to the Global Fund’s Fifths Replenishment. In Zambia, we as CITAM Plus led a walk that was graced by renowned artist and UN Goodwill Ambassador, Yvonne Chakachaka, from Cathedral of the Holy Cross to Swedish Embassy in Lusaka on 21st March 2016 pressing our leaders to pledge towards funding the Global Fund and we are glad that our and other organisations’ call has been heeded to. In our demands during the walk, we targeted US$13 and today we are happy that US$12.9 has been reached, which is a plus to us. We now call on all those that pledged to fulfil their pledges so that 20 million lives can be saved and we can end the epidemics by 2020. While African countries such as Benin, Côte d’Ivoire, Kenya, Namibia, Senegal, South Africa, Togo and Zimbabwe were making a pledge, Zambia was not even represented at the GF Replenishment conference. It is therefore disheartening to see that the Zambian Government did not pledge to fund the Global Fund despite our several calls on it to consider funding and help saving lives. We can hope this absence was essentially due to the fact the inauguration had barely taken place. We realise that though that it could have been difficult for the Minister of Health or Finance to lead the country in making the Pledge as they were just appointed, the Ministry has enough staff such as the Permanent Secretary that could have presented the nation and made the commitment. Despite our Zambian government not being part of the pledgers, we call on our leaders to contemplate on adding its pledge too considering that the country today according to records from UNAIDS shows that we have about 1, 200 000 people living with HIV out of the total 15 million population. We feel Zambia having such a record, it has a noble duty to stand and make its pledge and save many lives not just locally but internationally too. Our leaders should realise that 16 000 to 24 000 people die each year due to HIV/AIDS and this is a drain on the human resource which the country needs the most for its development in various spheres such as socially and economically. We urge the Ministry of Health through the new but able Minister who is an experienced medical practitioner, to make its commitment in this matter as the country and its people need the support of the Global Fund. As CITAM Plus, we are further hopeful that we will end the epidemics, AIDS, Tuberculosis and Malaria with these pledges by 2030. 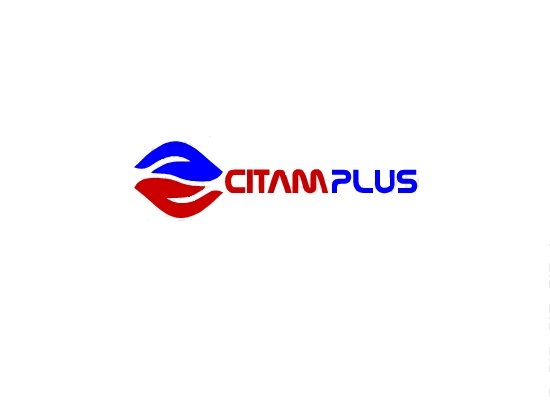 CITAMplus is an organization that focuses around policy advocacy and citizen led grassroots advocacy among other things. It is a partner of ACTION which is a partnership of locally-rooted organizations around the world that advocate for life-saving care for millions of people that are threatened by preventable diseases. Coalition Of Zambian Women Living With HIV/AIDS (COZWHA) In Partnership With AIDS Healthcare Found (AHF) Zambia Last Week Held A Five (5) Day Workshop For COZWHA Youths On Testing And Counselling. The 16 Youths that attended the workshop were glad to be trained and pledged to be fulfil their commitments to sharing the knowledge acquired with fellow youths. The Workshop was in Lusaka at Gonde Lodge, Chelstone.